Palestinian citizens of Israel - and their political parties - agreed on a most basic principle: there should be equality under law and in practice between them and Israeli-Jews. Everything else, the peace process, the two state solution, could fall to the side. Netanyahu's demographic fear-mongering is rooted in the foundation of the Zionist project in Palestine and demographic engineering to ensure political power remains in the hands of one ethno-religious group. Something has changed inside Israel for its Palestinian citizens. 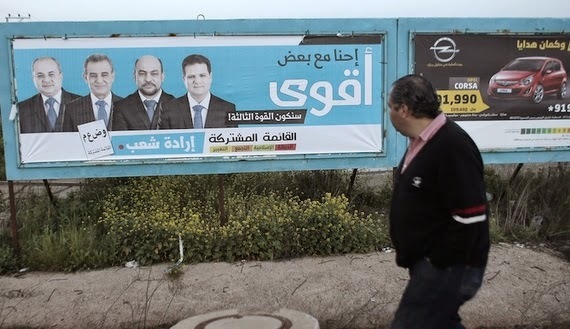 The hard data is revealing: voter turnout jumped by ten-percent from the last election and in the Joint Arab List's party leader's home district it was nearly an unheard of 80-percent. Civic engagement is happening, but that is not the only turn. The joint list is full of fresh faces with seven first time Knesset members, and two women, five communists, two national democrats, two Islamists, one Christian and one Israeli-Jew. Party leader Ayman Odeh, 40, embodies most the directional shift inside of the bloc. He uses a civil rights framework, noted for quoting Martin Luther King Jr. while campaigning, telling voters he sees the party as a vehicle to mobilize mass non-violent civil disobedience. In Haifa days before the election Odeh said he wanted to organize an equal rights march of thousands of Palestinian citizens of Israel and Jewish-Israelis in one year's time. For supporters, this isn't fluff. Odeh's emphasis on partnership-not just coexistence with Jewish-Israelis-is widely endorsed. He has a long history in politics. He held his first position in public office in Haifa's city council at the age of 23 as a member of Israel's Jewish-Arab communist party, Hadash. There he fought for student tax breaks and quickly rose up the political ranks to become Hadash's chairman while still in his 30s. 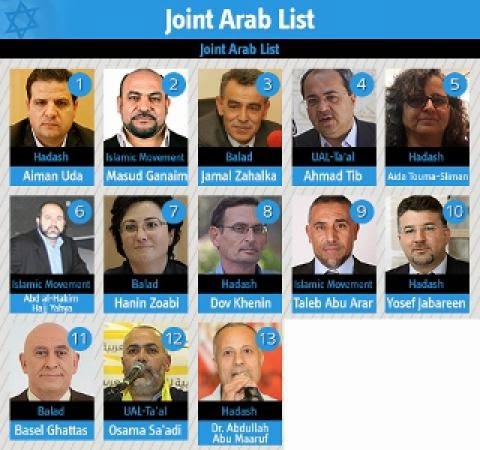 At first glance the Joint Arab List is a band of four parties that were coerced to run on a single ticket after the Israeli election threshold was increased, an obstacle propelled by right-wing groups. The perception was hardliners wanted Arab parties out of Knesset. The way they could achieve this was to force an ultimatum: Arab political groups, and one mixed party, would have to unite in a country where political divisions can be lethal to a faction's survival. The candidates could have kept their old political divides alive, running on two lists instead of one, and still made it into Knesset. The primary discords are between the Islamist and communist, the two largest factions inside of the bloc. They differ in areas of labor and women's rights. Do you support the separation of religion and state, the secular parties asked the Islamic group during a six-week period where they hashed out their disagreements? It was a genuine coming to terms. "Yes," they said, "Because we don't want to live in a Jewish state," relayed Knesset-elect and first time politician Aida Touma-Suleiman while still on the campaign trail at an event in Tel Aviv in early March. Touma-Suleiman is a celebrated feminist. Though she has been a member of the communist party for over two decades, this will be her first time in public office. By sitting together, over and over, to build a united front, Arab parties made pivotal decisions in the lead up to announcing their candidates. Foremost they realized as Palestinian citizens of Israel they all agree on one most basic principle: there should be equality under law and in practice between them and Israeli-Jews. Everything else, the peace process, the two state solution, polygamy could fall to the side. Their constituents see the internal resolutions and divisions as a new way forward, where diversity remains intact while pursuing equal rights with the power of Israel's newly-minted third largest political party. 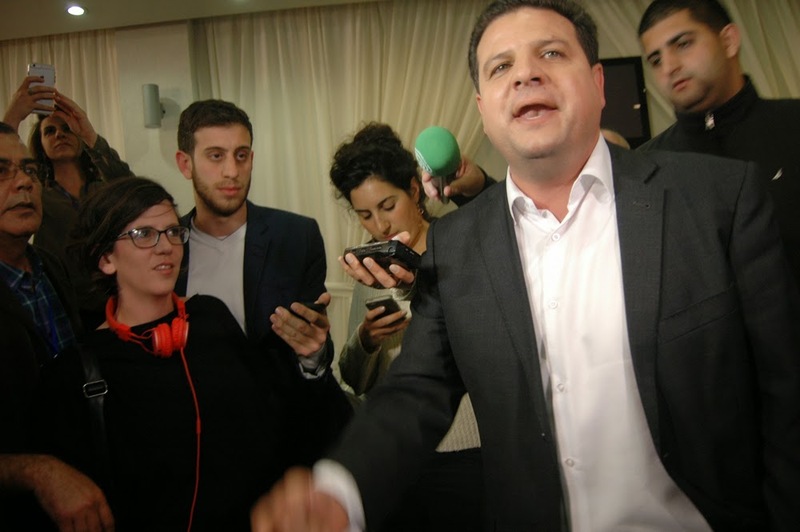 Many supporters have said Odeh represents "a new way forward" for Arab parties in Israel. He is deeply influenced by Martin Luther King Jr. and the civil rights struggle in the U.S., along with his upbringing in a mixed Jewish-Arab community. Odeh believes in securing the rights of Palestinian citizens of Israel by working with Jewish-Israeli partners. In this election season he became well known amongst Israelis after a televised debate with Avigdor Liberman who said Odeh should not be allowed to speak in Israel, and should go to the West Bank. Out of all of the joint list's Knesset members, Tibi has the longest history inside of Israel's parliament. He has served since 1999 and is the co-founder of Ta'al and Islamic party. He is a vocal advocate for the Palestinian right of return for refugees. Before entering politics Tibi was a gynecologist. Zoabi is perhaps the most well-known Palestinian citizen of Israel serving in Knesset. She has held this position since 2009 and during her term in public service she has been attacked while speaking on the Knesset floor, and holds the title of the Knesset member with the longest suspension from office in Israel's history. During election season, she was physically assaulted while speaking at a debate, along with a Jewish-Israeli spokesperson for the Joint List. Prior to entering politics Zoabi was a journalist. Khenin is the Joint Arab List's only Jewish-Israeli member to be elected into Knesset. He is a veteran member of Knesset, serving since 2006. Khenin is a political scientist with a PhD from Hebrew University. Benjamin Netanyahu's attack on Arab voters was not just an electioneering tactic. Such fear-mongering is rooted in the foundation of the Zionist project in Palestine.